If the screenshots below don't whet your appetite, expand this spoiler for a full list of features. Arcane Lenses: Choose between night vision, the ability to see through one layer of blocks, viewing creatures through walls, or automatically scanning blocks under your crosshairs! They can easily be swapped onto your Goggles of Revealing or similar items. 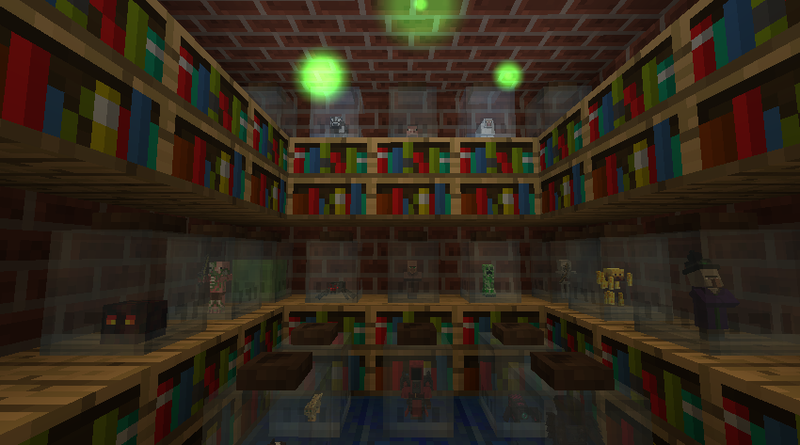 Wand Focus: Containment: Shrink creatures and store them in warded jars! Biological Alchemy: Grow crops in the blink of an eye, duplicate a slab of meat, or even transform chunks of defeated zombies into useful leather. Blood Alchemy: Mix essentia with your own blood to create potion-like injections. If splash potions are more your style, you can also create blast phials to shower foes in your enchanted blood. Or perhaps you'd like to deliver syringes from long range with the Injector, a thaumium crossbow. Creature Infusion: Transform common livestock into all-new beings like the Ore Boar and the Guardian Panther, or simply augment the abilities of (almost) any living thing with Quicksilver Limbs, Runic Hide, and more! Soul Sieve: Extract soul fragments from soulsand and feed them to a jarred brain for experience, or toss them into the Inspiratron for knowledge fragments. Once you discover the Soulforge, you'll even be able to reconstruct human souls and clone villagers. Self-Reincarnation: Stick a soul beacon atop your curative vat and you'll be whisked into a clone body upon your death - with no loss of experience or permadeath! You should also consider building a mirrored amulet to ensure that your inventory is spat out of a magic mirror in friendly territory. Wand Focus: Animation: Create temporary golems out of (almost) any block! They'll fight for you during their brief existence, or you can convert them to permanent golems by adding an animation core. Wand Focus: Illumination: As long as you've got the vis, you'll never need a torch again! Plus, dyeable orbs of light look a good deal more magical. Wand Focus: Liquefaction: Smelt blocks and items in the world, or even slowly transmute stone to lava. Alchemite: A magical explosive which shatters blocks into crystallized essentia. Don't let the blast hit a node! Wand Focus: Disintegration: Convert blocks and creatures into crystallized essentia. Node Monitor: Emits a redstone signal when any aspect in a node falls to 1 or below. Shard Transmutation: Convert a balanced shard to an ordinary shard of any aspect. Ethereal Shard: Capable of binding ethereal essence to itself, this floating crystal acts as a synthetic aura node when charged with centivis. But you'll need a lot of essence if you want high capacity! Self-Infusion: Design the perfect body, then reincarnate into it for superhuman abilities like the Silverwood Heart, Spider Climb, and Warped Tumor! 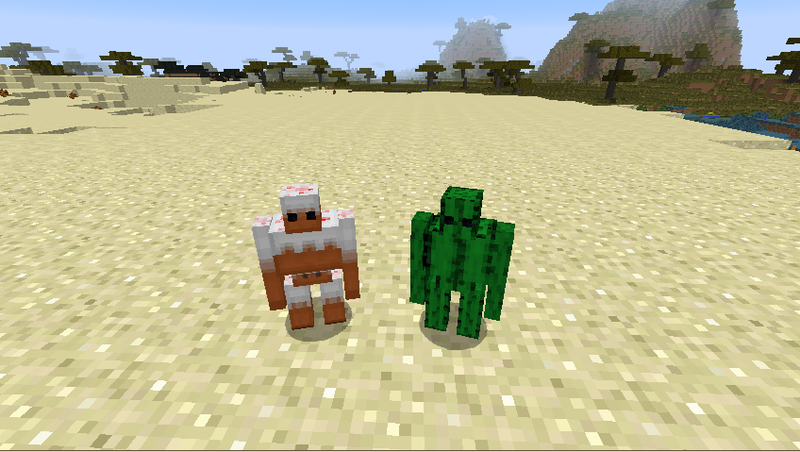 Cactus and cake - not exactly traditional golemancy materials. A collection of jarred specimens! What is this infernal device, and what is doing to the souls of the dead? Thaumic Horizons was wholly created by TheKentington. Of course, it wouldn't exist without Azanor and his delightful Thaumcraft mod, so please direct at least 60% of any praise and/or glory in his direction. 1. Your mod pack must link to this forum post. 2. You cannot directly profit off of the mod pack - although streaming videos are fine and even encouraged. 3. You cannot claim ownership of the mod or any of its elements. 4. Please let me know when you add Thaumic Horizons to any publicly-available mod pack. 5. I reserve the right to alter, remove, or add any conditions for good reasons or on a random whim. Hello, I am having a crash using the seroconverter. When travelling between dimensions, all Self Infusion data is lost. The actual buffs (Jump Boost, Regeneration, etc.) remain - until overridden / something clears the players potion effects. Which can make the issue tricky to notice as all thats initially apparent is the toggle keybinds don't seem to work. will you update this to TC5 ? cuz it looks awesome! Hello! 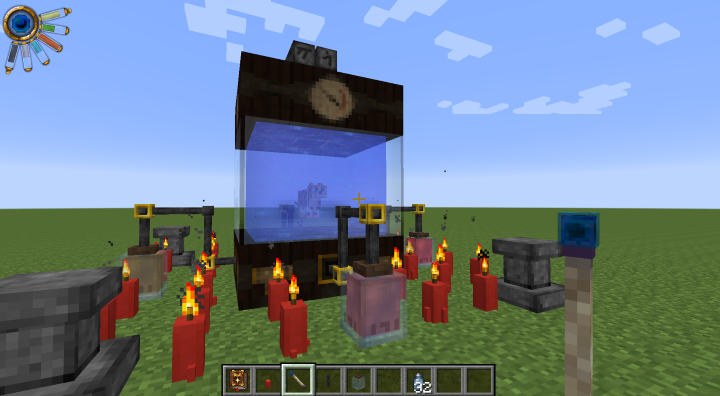 I'm adding this mod to my modpack, Undertown Modpack. Hi there! Your mod is included in MizunaCraft, available on curse. I'll also be uploading footage to my YouTube channel and live streaming on Twitch. 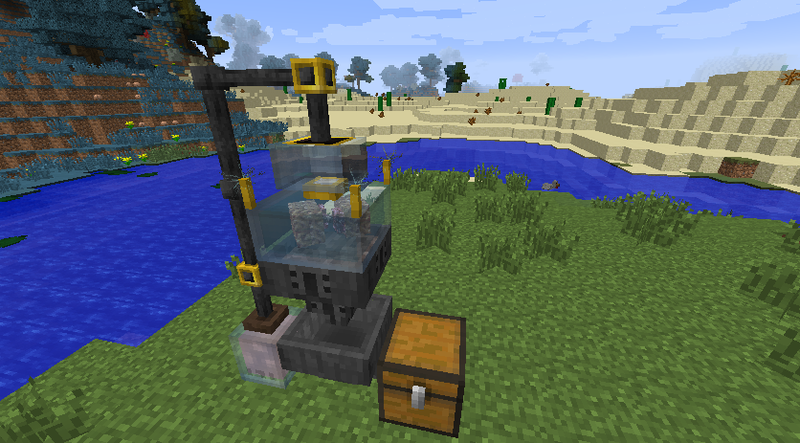 I will be using your mod in my public modpack called Rosecraft, available on the Technic platform. Details can be found here. Notification of usage in a public ATLauncher Modpack - Magic Theory 2. Now, I am only 99% sure this is Thaumic Horizons, but as soon as I installed this mod Not Enough Items stopped working. Since I really want this mod, though, I will try switching to Just Enough Items, however I would appreciate if you would look into this. Exploit/bug alert: I was able to clone a Gravekeeper cat with only a blood sample, Victus essentia, and a Nutrient Mix - i.e. none of the extra special essentia was needed although the research entry would indicate otherwise. See, I'd accidentally grabbed a jar of Aer instead of Lux, so before I connected the jars I left the vat to get the correct kind of essentia, but when I came back, the cat was already cloned in the vat without me having attached any essentia besides Victus to the vat. EDIT: Almost forgot to mention... I'm really having fun with this mod! I love a lot of the mechanics and items introduced, and I haven't even tried all of them yet. A quick question, though... does anyone know whether or not the reincarnation process for self-infusion respects the KeepInventory gamerule, or whether you lose all your items regardless when entering a new body? I don't want to mess with that stuff if it's going to be interfered with by the base game rules. I have tested this with each third party mod individually; I only receive the crash when I have discovered any of the aspects added by those mods. We are building our own custom modpack GT New Horizons; and thought to ask you for your permission to use your mod in our modpack since you have reserved all rights unless explicitly stated, and allow to use your mod in a public modpack if we inform you about it. 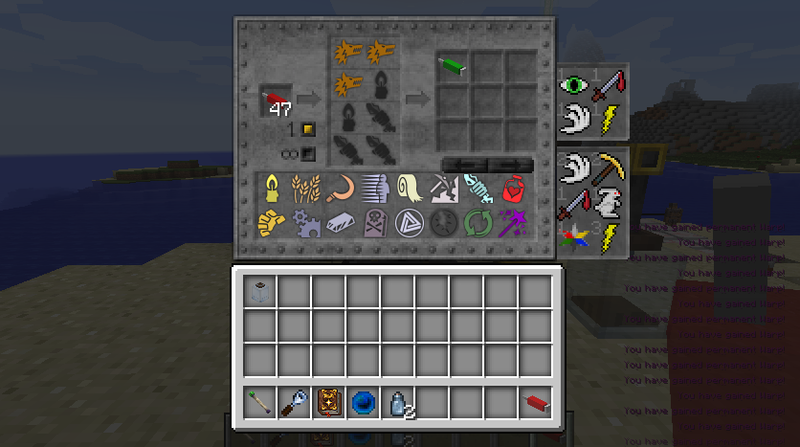 We're planning to make this pack available on Technic Launcher with Solder enabled to make sure all mods are linked to their respective author(s)' website. At the moment, the modpack is private only and is being tested in a whitelisted server, but we're planning on rolling out very soon. Should you have any more queries regarding the same, please feel free to message me. Appears to be something related to rendering itemJars. can I add thaumic horizons to my modpack? the server I run uses tekkit. Thaumic Horizons crash game in both single and server after trying to ride the Nightmare Horse. Error Code: Internal Exception: io.neffy. handler.codec.decoderexception:Java.ioException: the received string length is longer than maxium allowed (37 > 32).